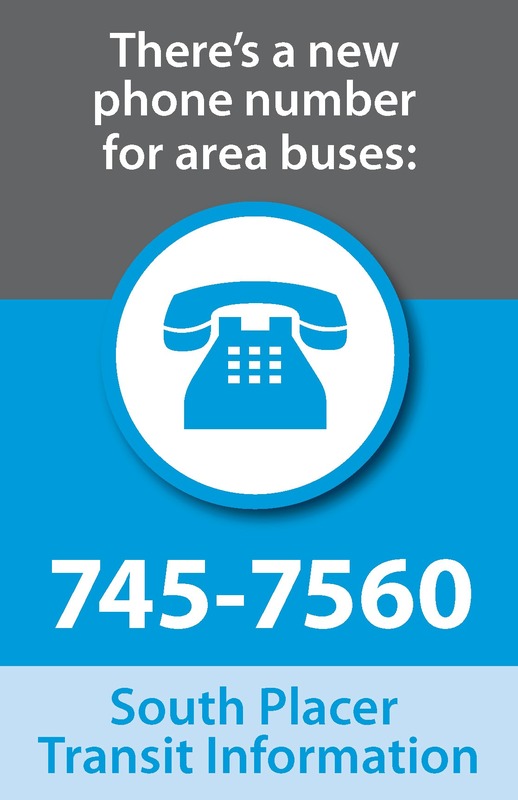 Southern Placer transit agencies now have a new phone number, 745-7560. It can be dialed within the 916 and 530 area codes. When you want to make or cancel a Dial-A-Ride reservation, you will now call 745-7560 or TDD: 888-745-7885. This number allows you to call for seamless Dial-A-Ride reservations throughout the southern Placer area. The phone line is open daily, 8 a.m. – 5 p.m. Hours may vary on holidays. This single phone number has been established to make it simple for passengers so they don’t need to call each transit agency individually. “We at PCTPA are very excited to have a single phone number for all our Placer transit providers. This will make it even simpler and easier for the public to make transit work for them,” says Celia McAdam, Executive Director for the Placer County Transportation Planning Agency. Consolidating phone numbers and call center services for the partnering transit agencies is a result of annual regional public hearings regarding unmet transit needs. Funding is provided through the Placer County Transportation Planning Agency and the Western Placer Consolidated Transportation Services Agency. You can also visit the Transit Connections in South Placer County website. Here you will find South Placer transit route information all in one place. Visit the new website for print-ready materials or call PCTPA at (530) 823-4030 for folded brochures.